It’s another Children’s Day and with it comes an opportunity to celebrate your kids and possibly put a loving smile on their face. How? Simple. 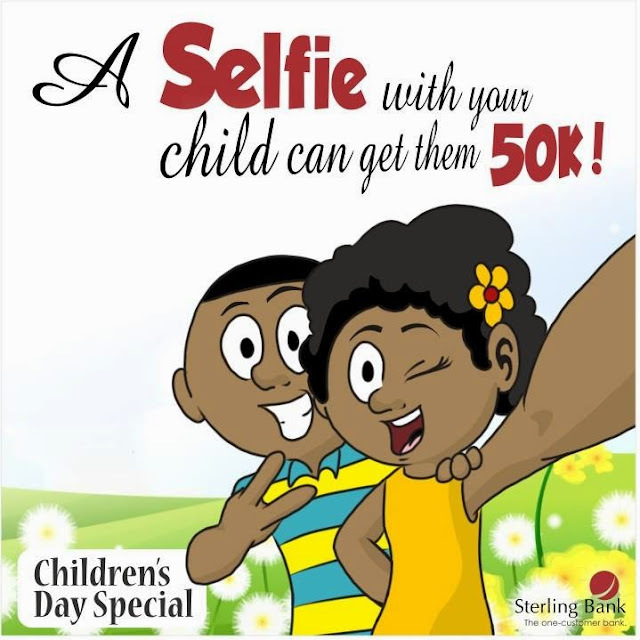 Just take a selfie (a picture taken with a mobile phone) with your child (aged 1 - 12), upload on any of your social media platforms, tag/mention us and your child stands a chance to win up to N50,000. *Please note that entries after May 26th, will not be accepted*So what are you waiting for? Start uploading those Selfies and give your child a Children’s day to remember.